Wildlife Komodo dragon and undersea coral reef. Komodo national park adventure trekking tour in Rinca - padar - komodo Island with focusing on the wildlife komodo dragon and combines with undersea coral reef in komodo national park. On your arrival in Labuan Bajo, you will welcome by our Guide and take you directly to the boat for heading to Rinca Island for afternoon trekking to Explore Komodo Dragon and their habitat. After 2 hours trekking, than heading to Kalong Island, see Thousands of flying foxes out from Mangrove. The Island is very close to Rinca Island. Dinner and overnight on the Ac Cabin Boat. After have breakfast on the boat, you will start your Adventure trek (5 hours) to Loko Nggurung . On the way, you will see Komodo Dragons,Monkeys,water buffalo, wild board, wild horses, and Deer. Then back to the Boat for having lunch and then directly sailing to Padar Island to enjoy the beautiful panoramic of the Island and also you will enjoy the sunset at the Top of Padar Island . After finished, back to the Boat, having dinner and stay overnight on the Boat. After having breakfast on the boat, you will sail to Komodo Island for another trekking for 3 hours to see the Giant Komodo Dragon, Rusa Timor (Deers), afterward sail to Pink Beach for relaxing, swimming, and snorkeling at Pink Beach. Lunch will served on the Boat, In the afternoon, you will sail to Kampung Komodo (Komodo Village) to see the Local people daily life. In the afternoon shorts sail to Kalong Komodo to ee the bats flying at the sunset time. Dinner and overnight on the Boat. Get early breakfast on the Boat. Start trekking from Loh Liang to Loh Sabita (5 Hours trekking). On the way you will see Komodo Dragons, Deers, snakes, and manu spacies of Birds. Back to the boat for lunch. After lunch, sail to Manta Point for snorkeling, to see Manta Rays. After snorkeling you will back to the boat and sail back to Loh Liang Port. Having dinner and stay overnight on the boat. Having breakfast at 07.00 am. 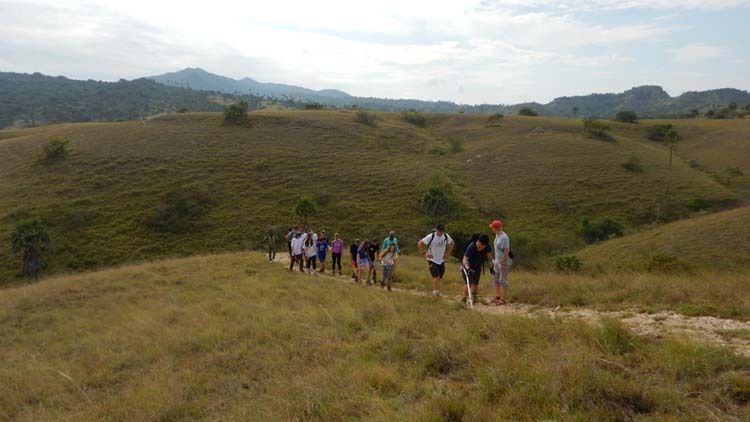 Another trekking in the morning in Komodo Island around Loh Liang site. 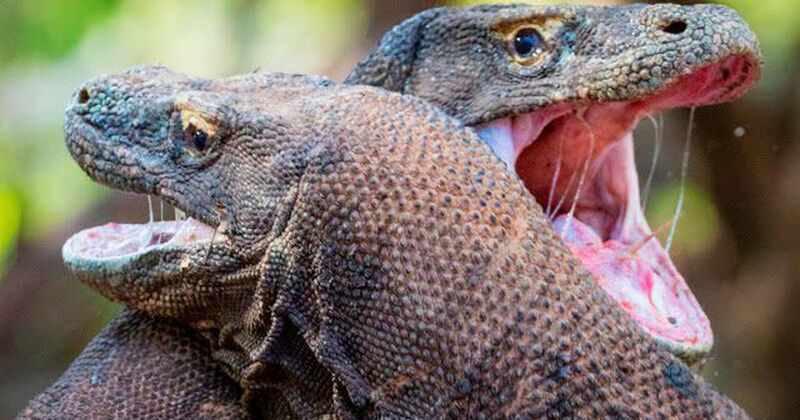 You will spend your time to Komodo Dragon and their habitat. Back to the Boat for lunch. After lunch, afternoon trekking too see more Komodo Dragons’ activities in the afternoon. Dinner and overnight on the Boat. Wake up in the morning, sitting while enjoying drink a cup of coffee, see the Sun rice, then take snorkeling and stroll on the beach and relax on Kanawa Island.Then back to the Boat for heading back to Labuan Bajo while having lunch on the Boat. Arriving at the pier in Labuan Bajo, our driver will drop you to the Airport to catch your flight to Denpasar.